Double Loop at Geauga Lake. When Shock Wave opened in 1978, it was coined by Six Flags as the tallest, longest, fastest double loop roller coaster in the world. During the 1990s a statistic began to swarm around the theme park industry claiming that Shock Wave was the first roller coaster to feature consecutive loops. In 1977, Geauga Lake added Double Loop to their park, which also featured consecutive loops in its ride layout (Geauga Lake and Double Loop no longer exist). 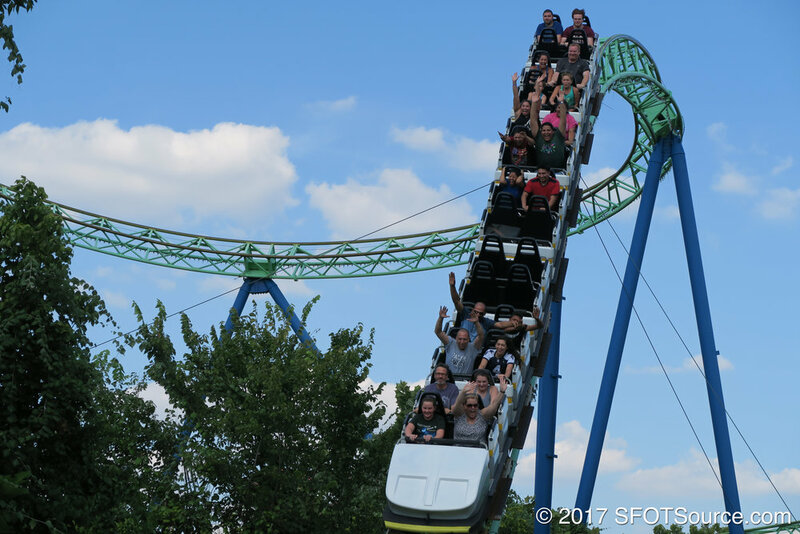 Double Loop is, in fact, the first consecutive looping coaster in the world. In 2008, Six Flags Over Texas decided to take action to ensure that Shock wave would last for the long haul. The ride was closed and an extensive rehabilitation process took place on the ride's support and track structures. In 2016, the Six Flags chain began to add virtual reality features to many of their attractions. Shock Wave at Six Flags Over Texas received the new feature during the summer and fall months. In summer, the VR concept was known as New Revolution, themed to jet fighters. During Fright Fest, the VR experience shifted to Rage of the Gargoyles. In 2017, Galactic Attack came to Shock Wave and introduced a mixed-reality concept. Shock Wave receives a paint job: dark blue track and supports. Shock Wave receives a paint job: light blue track and supports. Shock Wave receives a paint job: silver track and dark blue supports. Shock Wave receives a paint job: white track and mustard yellow supports. Shock Wave receives a paint job: dark blue track and red supports. 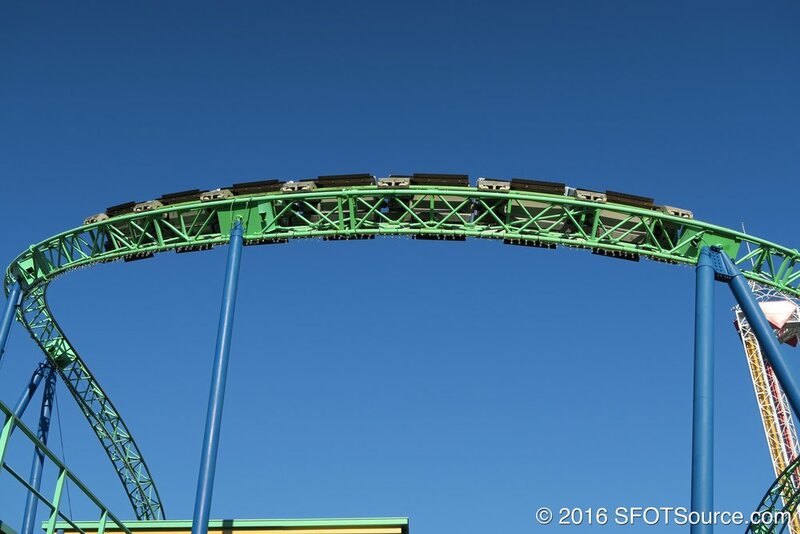 Shock Wave receives a paint job: neon green track and blue supports. Shock Wave is retrenched due to flooding and is closed most of the summer. Shock Wave undergoes an extensive rehab project to its track and supports. A virtual reality feature is added to Shock Wave. The virtual reality feature returns to Shock Wave with a mixed-reality concept.